The winners of the 2010 International Design Excellence Awards can help you ride the waves, grill a burger, catch varmints, and save the earth. The gold-winning OneDown mousetrap swings upright, using a rodent’s own weight to keep it trapped. | The Hwaro (Korean for “fire oven”) warms, purifies, and humidifies air — and looks far sexier than the typical space heater. | LaCie’s USB flash drives were judged “worthy of being on a keychain.” The gold-winning OneDown mousetrap swings upright, using a rodent&apos;s own weight to keep it trapped. | The Hwaro (Korean for "fire oven") warms, purifies, and humidifies air -- and looks far sexier than the typical space heater. | LaCie&apos;s USB flash drives were judged "worthy of being on a keychain." The minutes are ticking down, and a fleet of town cars idle outside the Henry Ford Museum in Dearborn, Michigan, ready to leave for the airport. Inside the building, though, the 18 design luminaries serving as jurors of the 2010 International Design Excellence Awards (IDEA) — the field’s top honors — are unmoved. Over the previous 48 hours, they have blazed through a pool of 1,900 entries from 28 countries, choosing 38 gold-medal winners. And now they are stuck, deadlocked over the final selection for Best in Show. Choosing the medalists in some of the 18 categories — everything from medical devices to home decor — was easy. And seeing the reach of modern design has been exhilarating. For instance, Thomas Meyerhoffer’s elegant surfboard takes top honors in leisure and recreation, while the judges deem Ideo’s poignant posters for pharma giant Lilly “a simple but beautiful moment of creativity,” awarding it gold in design research. Best in Show proves to be the knottiest problem. The four finalists affirm the wild diversity of the competition; they are so different that judging them against one another is like picking between apples and oysters. There is the packaging for Method laundry detergent, which the jurors love for its ability to change daily consumer behavior. There is the user interface on Microsoft’s Zune music player — “There’s poetry in this,” one juror argues. The minimalism of the Slingbox multimedia broadcaster has many fans. “If this were the standard,” one juror jokes, “it would put us all out of business.” And then there is the innovative low-cost latrine from Cambodia, modest on physical beauty, perhaps, but high on social responsibility. There had been a heated discussion at dinner the previous night about whether the environmental impact of a design should be a consideration in every category, not just in the “eco-design” niche, as in this year’s awards. Designers Accord founder Valerie Casey, one of the eco-design category’s judges, urged her fellow jurors to make a bold statement by recategorizing that group’s entries and measuring all entries’ eco-responsibility. The debate continued long after the dishes were cleared, until 2 a.m., when IDEA officials decided that changing the rules midstream, not to mention the logistics of rejudging everything the following morning, made Casey’s suggestion unworkable. On the pages that follow, you’ll find all three Best in Show winners, plus 14 other gold recipients and a sampling of silver and bronze medalists. Visit FastCoDesign.com, our new design site, for an exclusive look at all 150 medalists, plus videos of the judges explaining their choices. 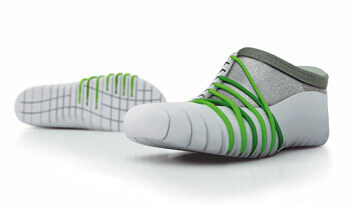 The futuristic Tatou shoe is for practitioners of parkour, the sport of traversing cities as if they were obstacle courses. 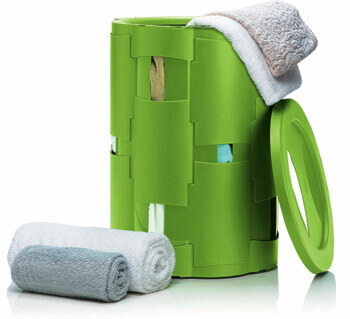 The Cesto Trama laundry basket’s weave pattern echoes traditional Brazilian craft, but the use of sugarcane-based resins to reduce plastic consumption is totally modern. 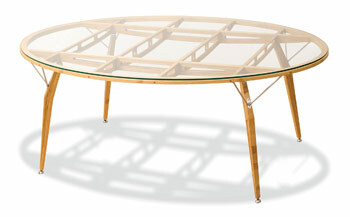 The all-bamboo base of the bronze-winning Demoiselle six-seater dining table was inspired by aircraft from the 1930s. 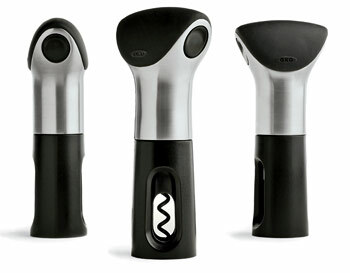 This elegant Oxo cork pull, a bronze medalist, has a built-in foil cutter and the brand’s trademark rubber grip.